Joining us today is La'Crassia Wilderness, creator and owner of Butter Love by L.C. La’Crassia took her love for mixing and her love for nature and created an organic skin care line. Butter ... See More Love offers organic, handmade and crafted products to heal and soothe the skin. Butter Love features holistic healing, detoxifying and rejuvenating products to aid in the removal of toxins within the body. - La’Crassia started mixing things in secret when you were young. What was she mixing? - What she loved about it and where it led her. 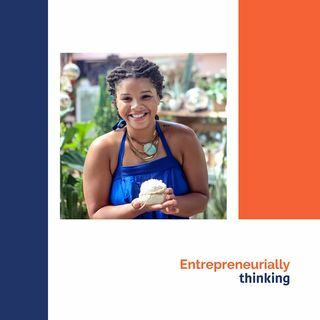 - What were the challenges La’Crassia experienced as a young woman that impacts her entrepreneurial mission and approach. - La’Crassia transition from corporate employment to entrepreneurship. How did she step out of her comfort zone? - How did she discover the alchemy she needed to create the products she features? How to package, sell then scale it? - What is the most rewarding part of your work? - La’Crassia emphasizes the beauty and harmony in relationship between skin, spirit, and the natural world. Why is this important to her?